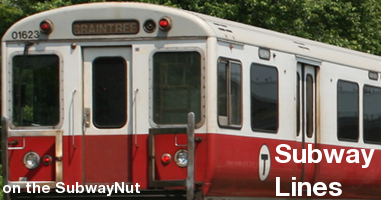 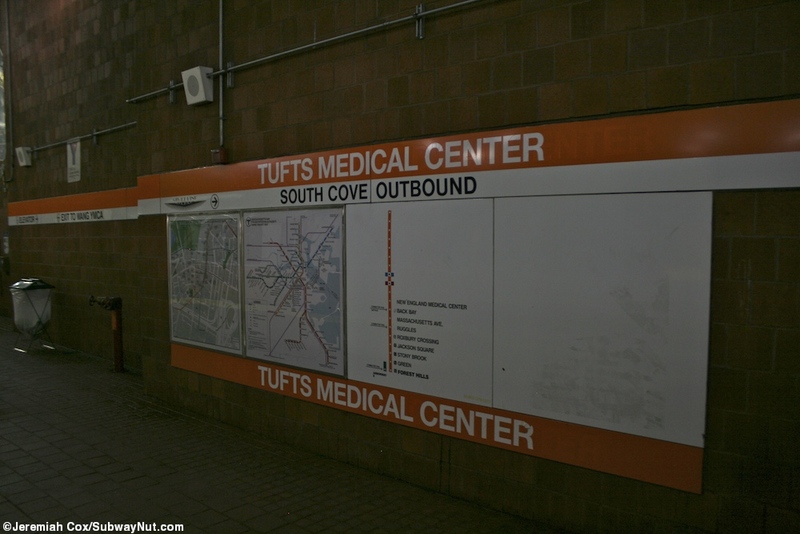 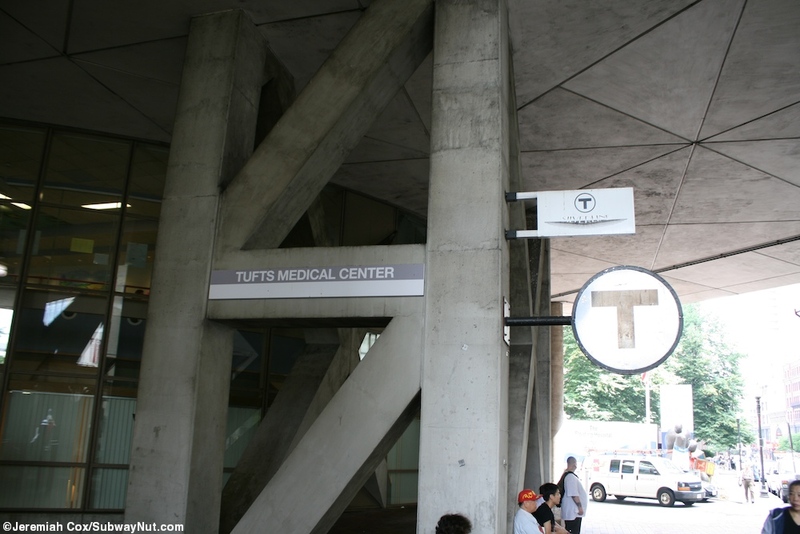 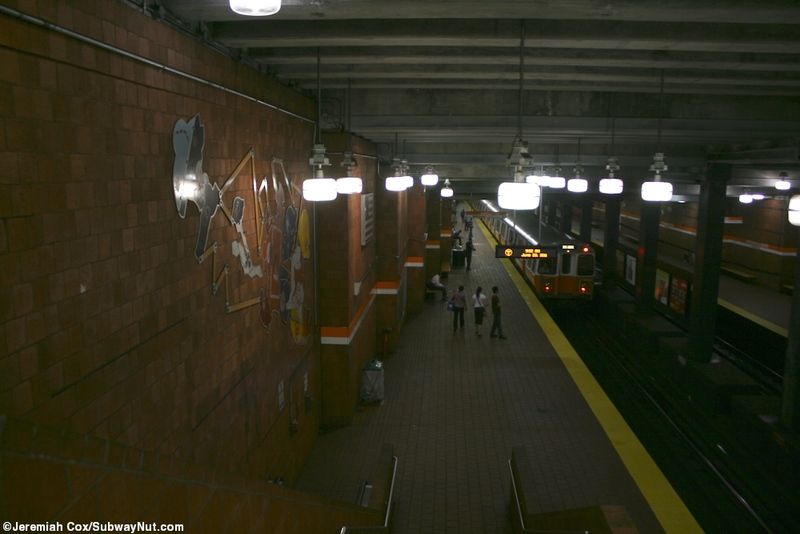 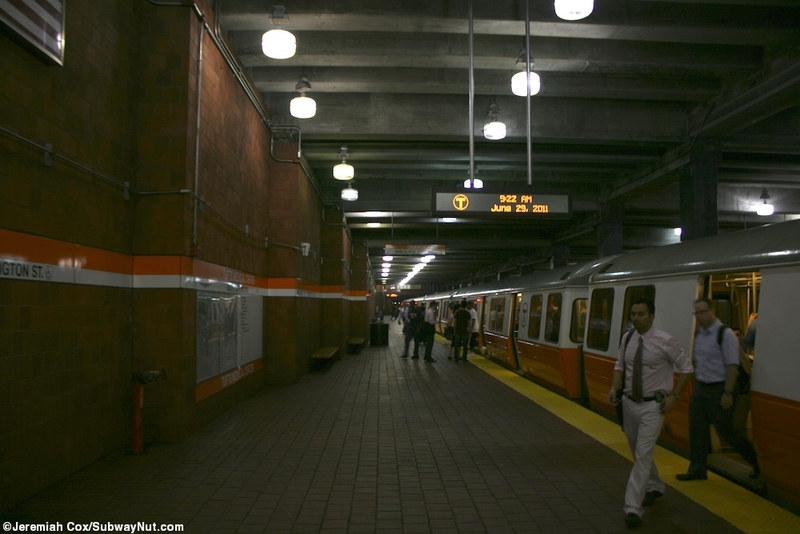 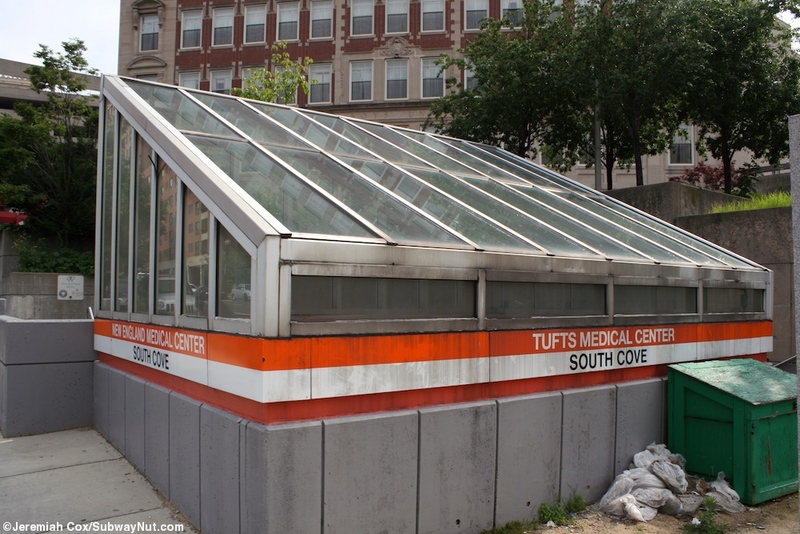 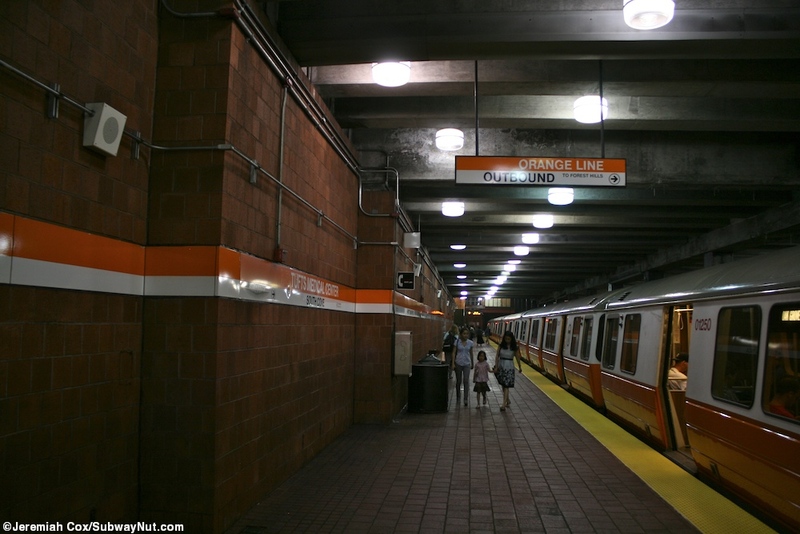 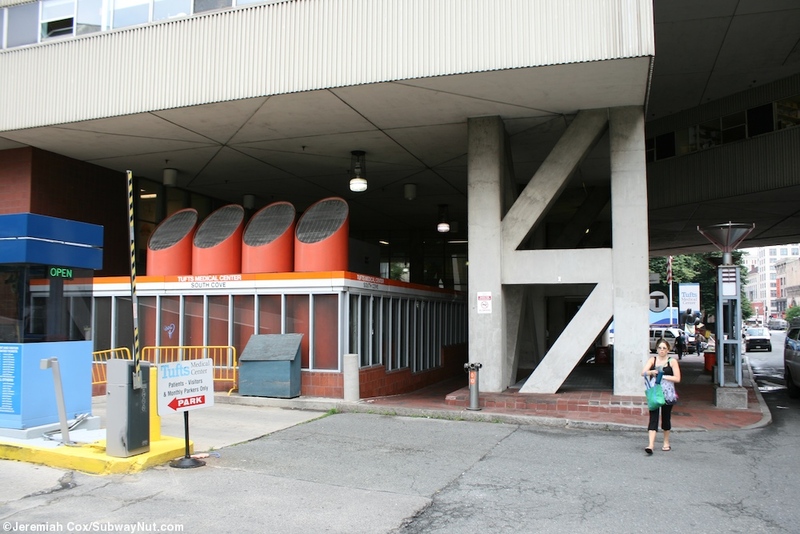 Tufts Medical Center (named New England Medical Center until 2010, when the institution changed its name) is the first stop south on the 1987 reroute that relocated the Washington Street elevated and has two side platforms with brown brick walls. 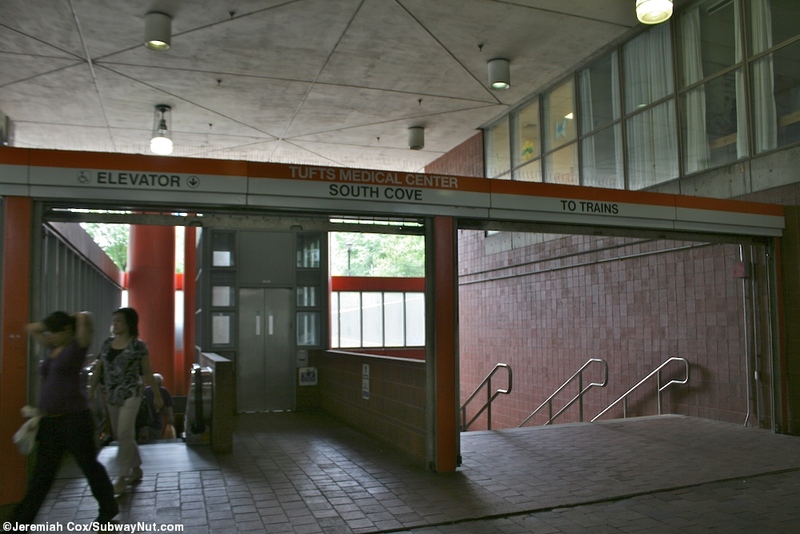 This platform has two entrances one at either end. 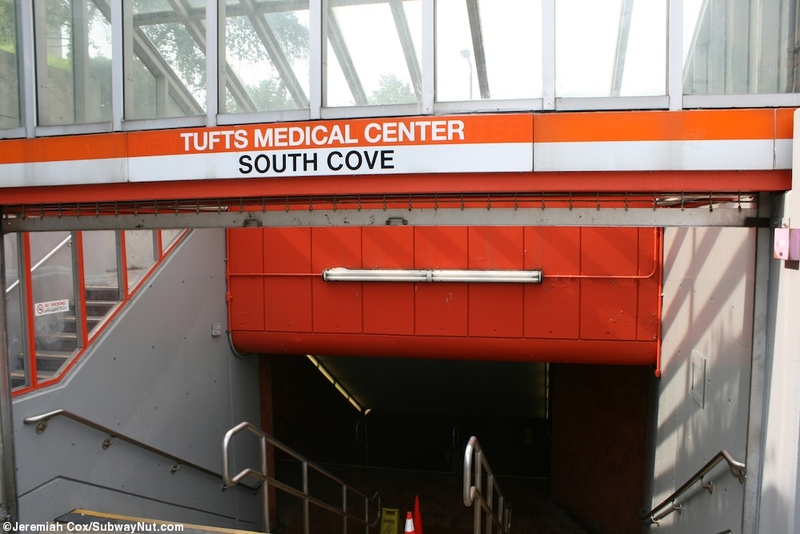 At the northern end of the platform is the main entrance with an up escalator, staircase and elevator beneath an overpass of the Medical Center on Washington Street. 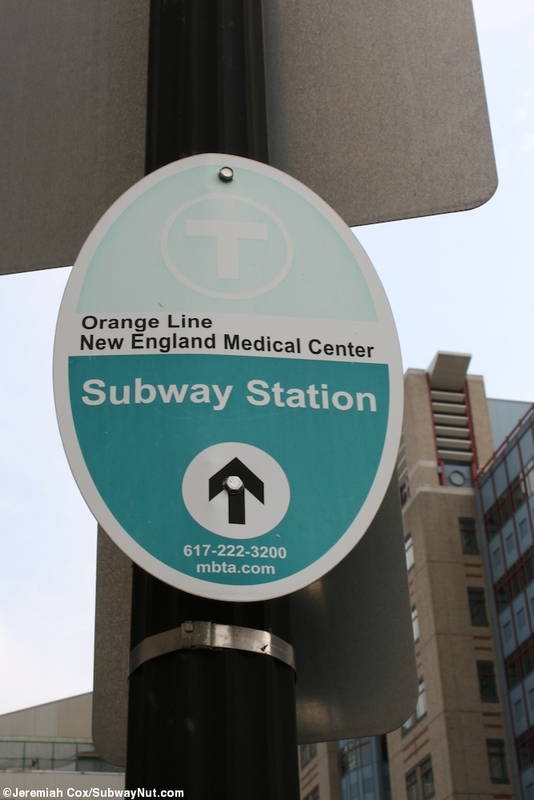 Right outside on the street is a stop on the Silver Line BRT. 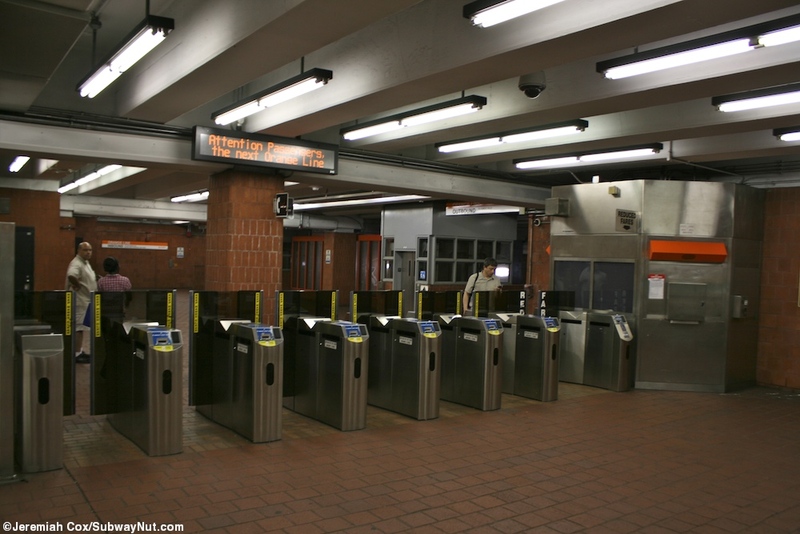 These means of access lead down to a mezzanine area where the faregates are and a staircase/escalator and elevator down to each platform. 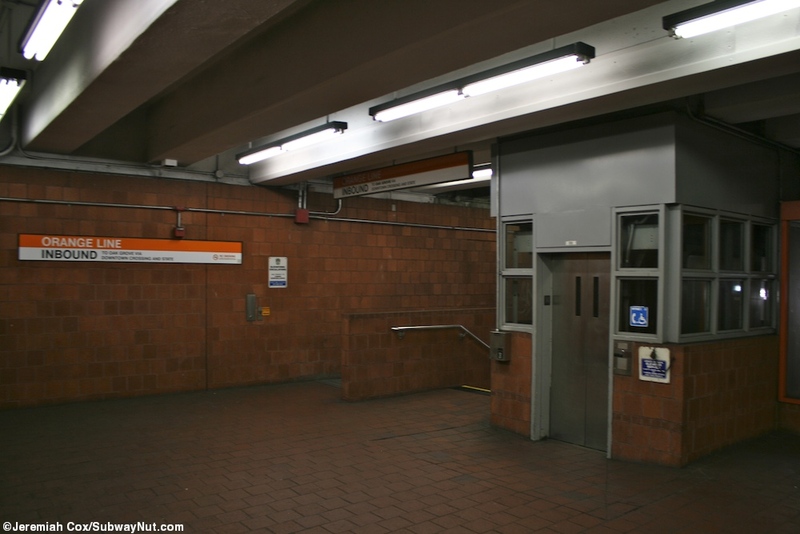 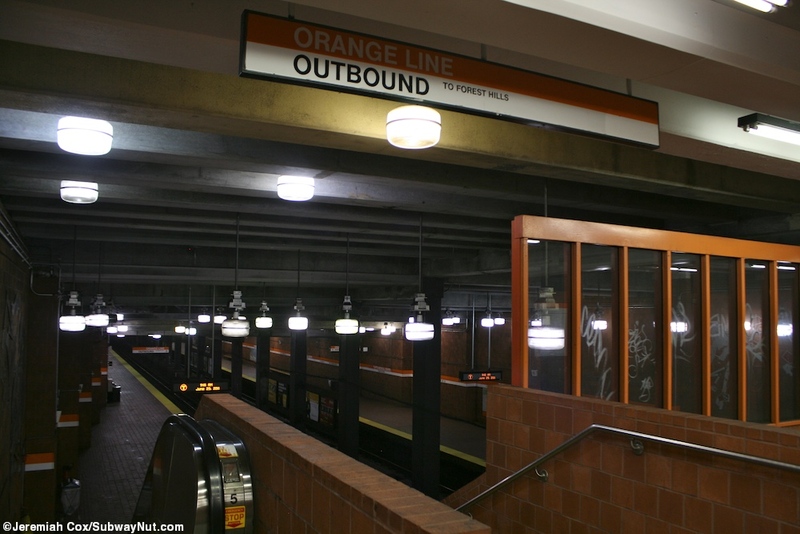 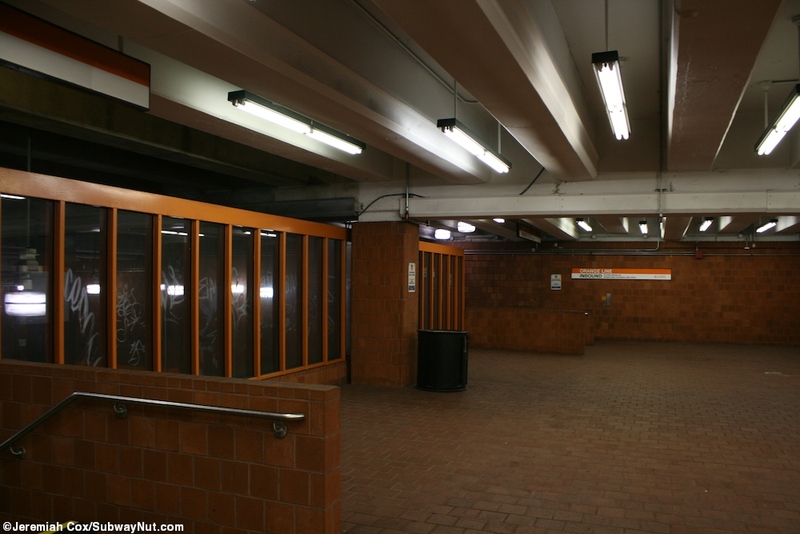 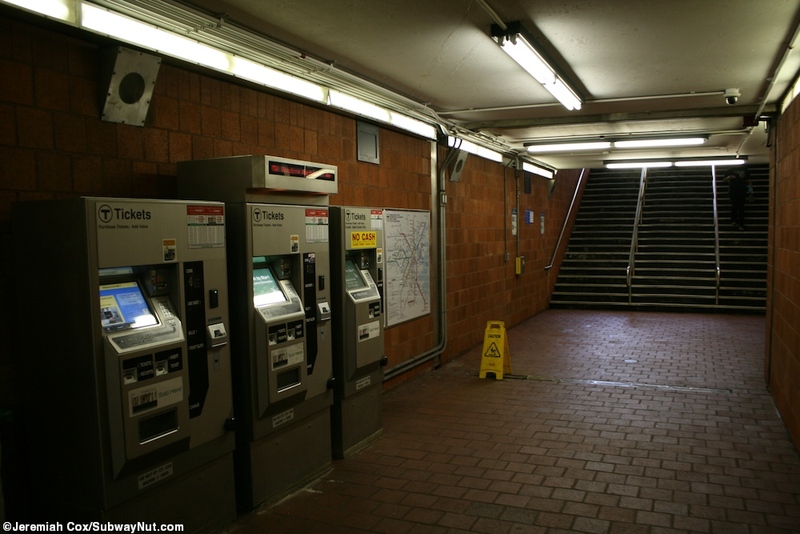 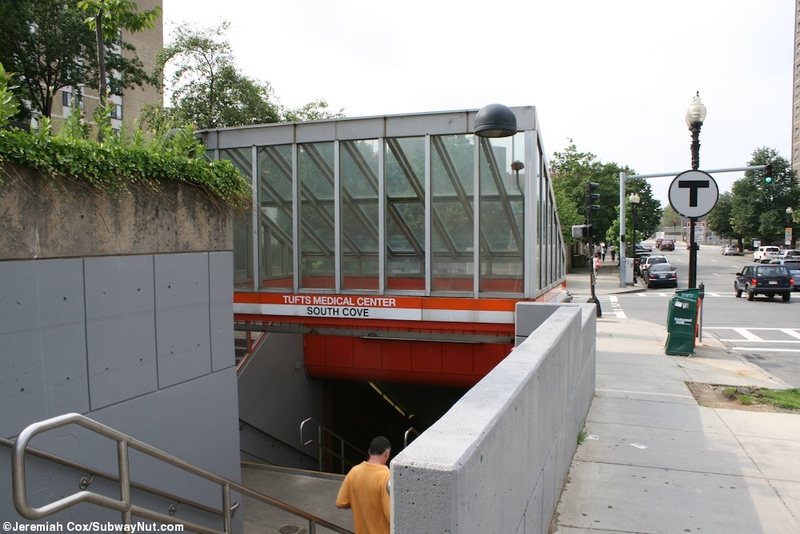 At the southern end of the station is a secondary entrance with stairs/escalators up to a small mezzanine to a tiny bank of faregates and a narrow passageway to a staircase (that splits into two just beneath the surface) to the NE corner of Tremont Street and Oak Street. 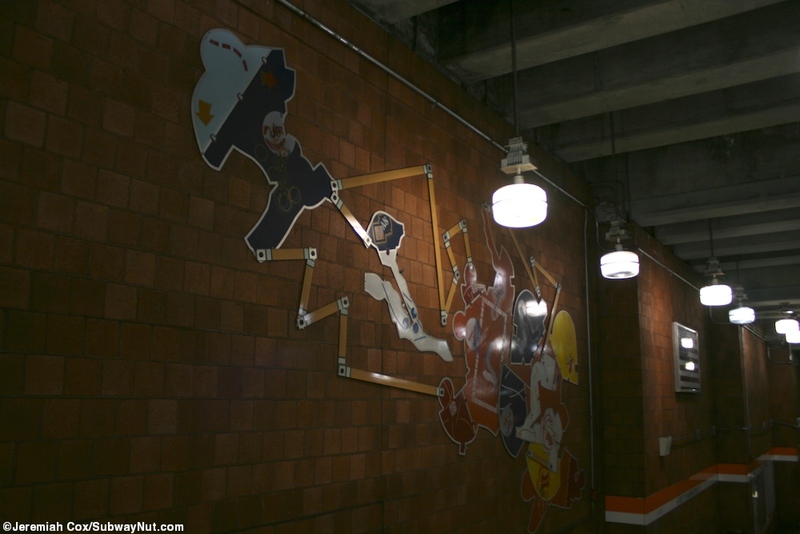 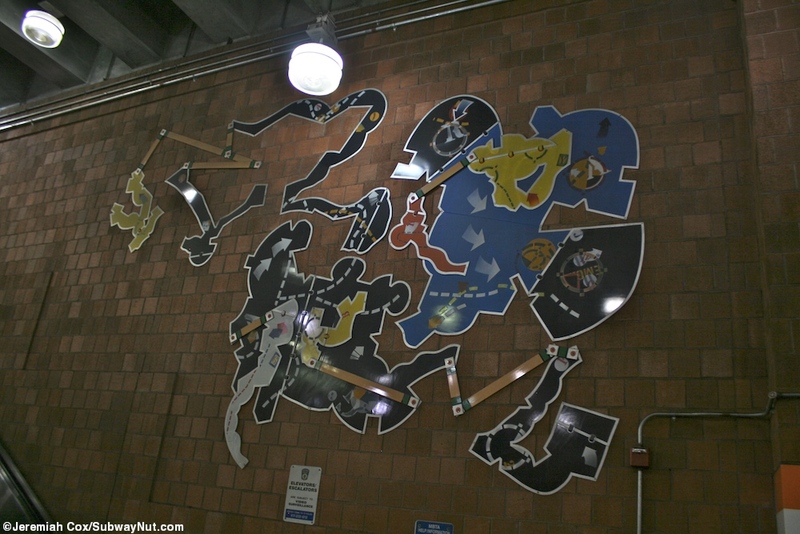 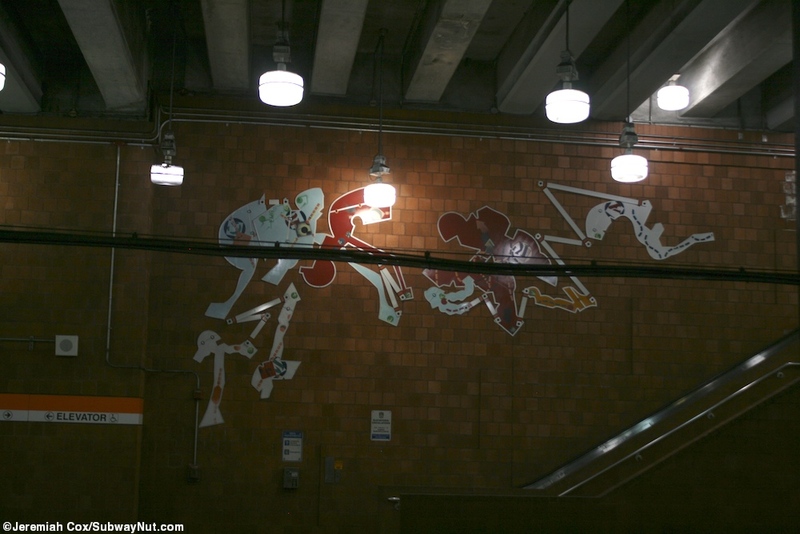 There is artwork by Richard Gubernick just above all four platform staircases/escalators.